Inside the newly developed complex Yongping Lane, on Hengshan Road, Crafted is an American style restaurant created from the team behind Coffee Tree in Ferguson Lane. Crafted features a similar outdoor vibe with Parisian style chairs and a decent space for al fresco dining. Inside the newly developed complex Yongping Lane, on Hengshan Road, amongst the different culinary concepts, Crafted is an American style restaurant created from the team behind Coffee Tree in Ferguson Lane. They followed the same developer to the Hengshan Road venue and this time, a new vibe was set up with a desirable rooftop terrace. Its sister brand Coffee Tree boasts a outdoor space long favored by the neighborhood crowd on Wukang Road. 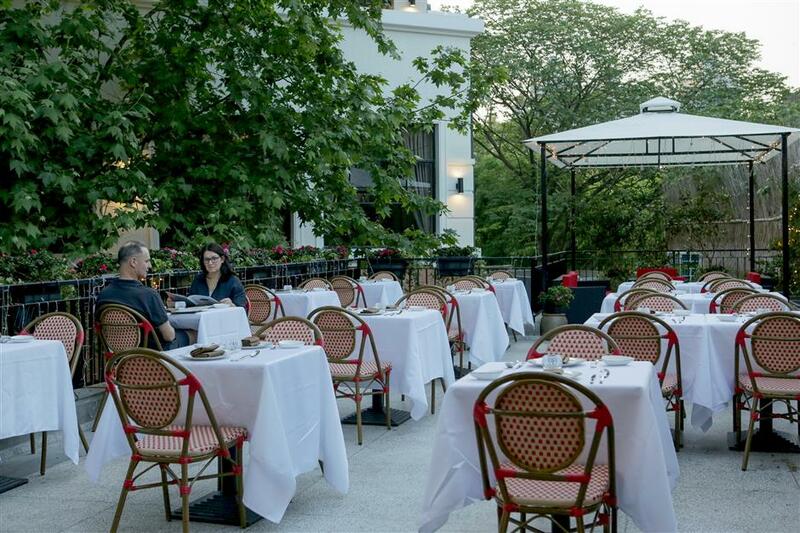 Crafted features a similar outdoor vibe with Parisian style chairs and a decent space for al fresco dining. The first floor décor is rather average looking. The offerings at Crafted include its top-seller ribs, burgers, hot dogs, and main courses from Boston lobster to suckling pig. So it is a kind of place that you can have a bit of everything but nothing too fancy or creative. I started off with a pick from appetizers — beer mussels (108 yuan), cooked with craft beer and creamy cheese sauce. Not a very satisfying starter, the mussels were not so fresh and the manager explained it was due to the summer season when the supply of fresh mussels are not available. Hopefully things will change starting from September. The page dedicated to four varieties of ribs look inviting and it’s obvious ribs are Crafted’s main attraction. 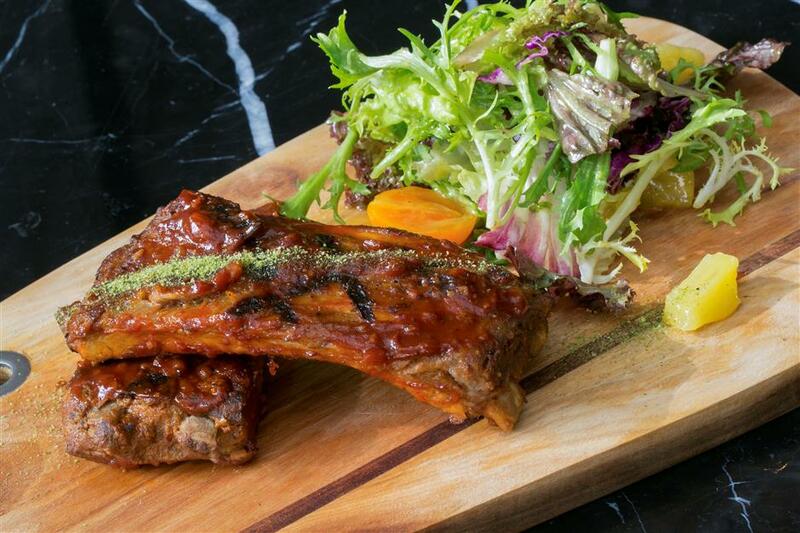 They offer BBQ pork ribs, black pepper pork ribs, Asian style ribs and fennel seed rubbed pork ribs. One can order either single portion (88 yuan) or double portion (158 yuan). As I was having a craft beer, I opted for a chili dog that was a classic hot dog with spicy mustard, chili con carne and melted cheddar cheese. That was taken to the next level with the flavorsome spicy touch — comfortable food for a casual, relaxed meal. Don’t forget to order fries as side. Manager Andy recommended the suckling pig that is a delicious alternative. Though the meat from the suckling pig is not tender enough yet the cooked skin is crisp. The dessert options are quite classic so I opted for a hearty milkshake instead. It was surprising good. Ribs are Crafted’s main attraction.